Beris began her career with the Australian Department of Foreign Affairs serving in Vietnam, Poland, Mexico and Nauru. In 1989, she joined the Australian International Development Agency, leaving to take up a senior position with a major international NGO (World Vision Australia) in 1994. Between 2000 and 2006, she served as Executive Director of the Brisbane-based Foundation for Development Cooperation, leaving to take up senior role with the Global Water Partnership based in Stockholm, Sweden. 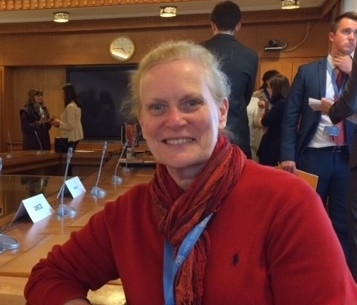 She joined World Vision International in September 2008 as WVIs first Director for Global Accountability based in Geneva, a position she held until 2014. In 2010, she was appointed (concurrently) Office Director and WVI representative to the United Nations in Geneva. At the end of January 2016, Beris launched her own platform (Incitāre) to support greater engagement with strategic foresight/futures thinking and the brokering of innovative and accountable multi-stakeholder partnerships to accelerate achievement of the Sustainable Development Goals (Agenda 2030).